The Path of Fate ring looks great for any occasion. Birthstones are accented with channel-set diamonds. The ring measures about 9.5 mm at the top center. 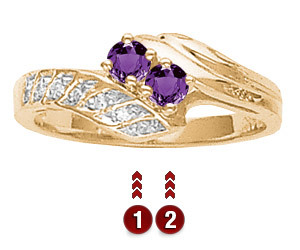 This ring accepts 2-7 stones that are 2.5mm in diameter.